Hello! Please find below all Word Whizzle Daily Puzzle April 12 2019 Answers. 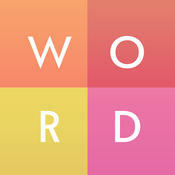 This is one of the most popular games at the moment developed by Apprope who have also developed Word Whizzle game. Word Whizzle has a very interesting daily puzzle in which you are given every single day a hint and you have to guess the correct answers! Today’s hint is On a keychain so all the answers are related to this clue. In case something is wrong or missing kindly let us know by leaving a comment below and one of our staff members will be more than happy to help you out. Already solved? Go back and see the other solutions for Word Whizzle Daily Puzzle April 12 2019 Answers.